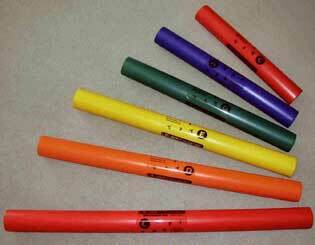 Many songs can be played using this set of Boomwhackers. Entire groups or classes can work together to compose or play a tune. 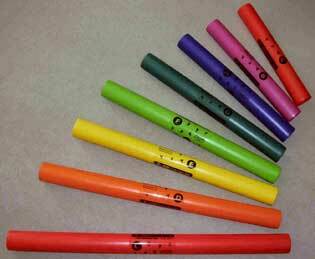 This set of Boomwhackers is ideal for percussive activities. Built from hardened cardboard core with specially machined and treated goat skin. 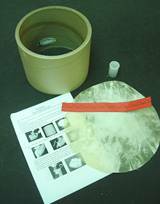 This set consists of 12 Rhythmania Hand drums, one larger Rhythmania drum for the teacher and instructional booklet. 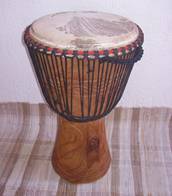 All Djembes are imported from West Africa, tuned and oiled by us. Carvings and colours may vary. Please note that delivery will be arranged and depending on location may be subject to a delivery fee.